After three years in London and then Manchester in 2018, the City of Hull will host the live streaming event for the fifth annual #MicroBizMatters Day on Friday, January 11th 2019. The UK’s biggest small business membership organisations are actively involved. Enterprise Nation, Forum of Private Business (FPB), Federation of Small Businesses (FSB), Freelance Heroes and the International Association of Bookkeepers will all feature in both Hull and business networks across the UK. The day will also involve live streaming to the partnering organisations’ members. Paul Uppal, the Small Business Commissioner is also travelling to Hull to support #MicroBizMatters Day 2019. 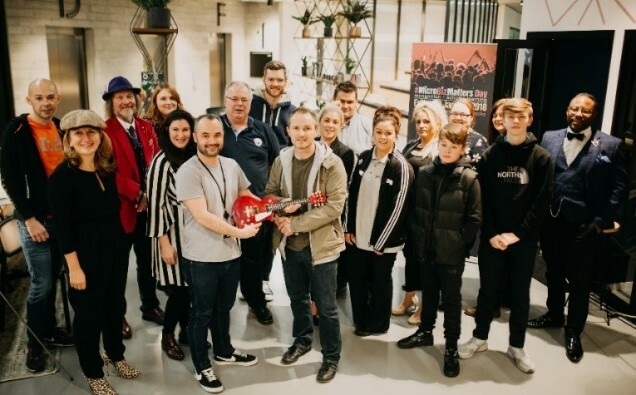 Hull City Council, supported by the John Cracknell Youth Enterprise Bank, is to play a significant part in this annual, social media day of recognition, action (#PayIn30Days) and learning. The Day celebrates the contribution made by the 5.5 million micro businesses to the UK Economy and hundreds of thousands of micro business owners are encouraged to kick off the new business year by giving 11 minutes (#IGave11) of their time to support other business owners. The base for #MicroBizMatters Day is at the historic Guildhall in the heart of the City of Hull at which the co-founders and organisers, Tina Boden and Tony Robinson OBE, will host a number of online sessions including topics such as Family Business, Freelance Heroes, Makers, Creators or Manufacturers, Network of Networks and Entertainment. Additionally, there are many VIP interviews and workshops by the Forum of Private Business on ‘Late Payment’ and ‘Saving the High Street’ with one from the FSB on ‘Digital Taxation’. #MicroBizMatters Day always trends number one on Twitter and the live streaming from the event takes place on YouTube. Over 150 business owners are expected to contribute to the social media content by attending the Hull event. Some of the local individuals and businesses are Hannah and Sue from Inspire Ignite, Leah from Amethyst Cleaning, Ben Robinson from Prehistoric Hull, Sophie Green of Seams Impossible, Phil Ascough, Ross Bennett of Engaging Education, T Arran Photography, Janet Adamson and 15 year old Millie Notarantonio of Millie Rose as well as Charles Cracknell and Mike Notarantonio who are Youth Enterprise Network Champions.